I can't believe the last time I posted here was in January! Geesh! Life has been crazy and hectic and stressful and quite honestly - for most of it, I spent a lot of time in denial which means I couldn't write about it here if I was avoiding thinking about it myself. Let me try to do a brief catch up.. ha.. I think we all know how I do things briefly.. lol. and sadly, 1 old friend no longer with us. Avoidance is my friend. But we have gotten thru it all and for now, I think we have smooth sailing ahead of us. Fishing Pole has always had urological issues. He's had surgeries (spinal cord and urological) and takes meds to help.. We noticed this fall that they were getting worse again. He ended up having another CT to determine if his spinal cord had retethered. Unfortunately, it had. The decision was made to do another back surgery to untether his spinal cord yet again. His neurosurgeon assured us how very rare it was for him to retether like this.. What can I say? This kid is the definition of RARE. Tethering of the spinal cord is a neurological disorder in which the spinal cord becomes attached to the spinal column via surrounding structures. Normally, the spinal cord hangs loose in the canal, freely moving up and down with growth, bending and stretching. A tethered cord does not move. It is pulled tightly at the end, reducing blood flow to spinal nerves and causing damage to the spinal cord from both the stretching and the decreased blood supply. Tethering can happen before or after birth in children and adults; and most often occurs in the lower (lumbar) level of the spine. All forms of SB can be accompanied by spinal cord tethering; but it rarely occurs with Spina Bifida Occulta (SBO). In children, a tethered cord causes the spinal cord to stretch as the child grows. In adults, the spinal cord will stretch during the course of normal activity which like bending and stretching. If a symptomatic tethered cord (tethered cord syndrome) is left untreated, it can lead to progressive, permanent spinal cord damage. Credit (I should note that Fishing Pole has not been officially dx with Spina Bifida. 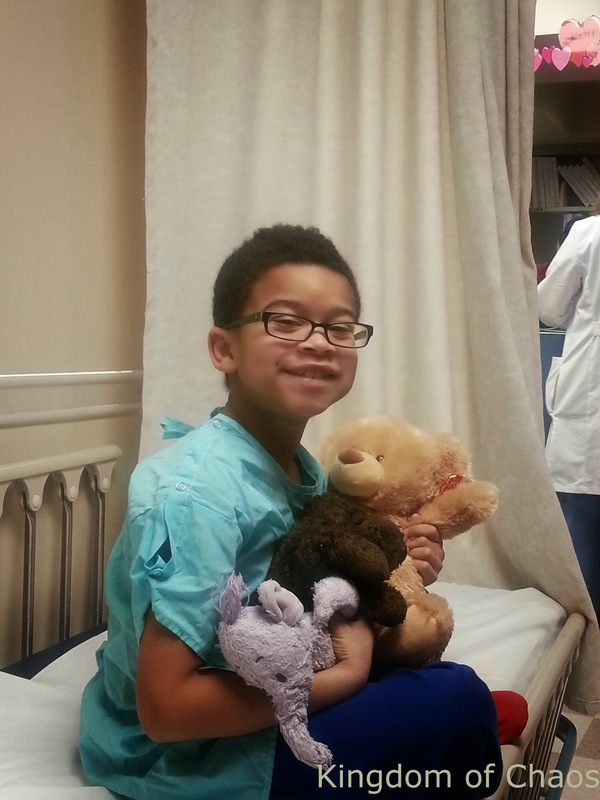 Due to his pacemaker, he cannot have an MRI. He does have the Spina Bifida Occulta defect which was shown on a Xray). When the discussion came up of doing another surgery, we were asked how his other health issues were.. Was anything else coming up that we could combine? Actually his pacemaker battery has been low and we were checking it monthly, but his EP hoped to get us to the summer before replacement. Neurosurgery suggested combining the back & pacemaker surgery and doing them at the same time. One big surgery , one recovery.. The real question was- would cardiology be willing to work together? We got the call the following week that Neurosurgery & Cardiology had come to an agreement on doing the surgery and we had a date less than 2 weeks away! Eeek!! We had definitely wanted the surgery as soon as possible because while doing a surgery to untether the spinal cord- it is to prevent further damage. There is no guarantee that current symptoms will be corrected. We cross our fingers and hope for the best. Fishing Pole had his marathon of surgeries on Feb 17th. He is my super hero. This was #12 & 13 surgeries and he goes into it very matter of fact. Laughs and jokes with the nurses.. No worries. When I would ask him if he was concerned about the surgeries at all, he would look at me like I was crazy and respond " I will be ASLEEP when they do it, Mom. Why would I worry? I'm not going to feel it!" F.P. with all his surgery buddies..
First they did his tethered cord surgery , then they flipped him over and cardio did his pacemaker replacement. We are super excited about his new pacemaker (still in the tummy.. ugh) because it came with the newest updates and services.. 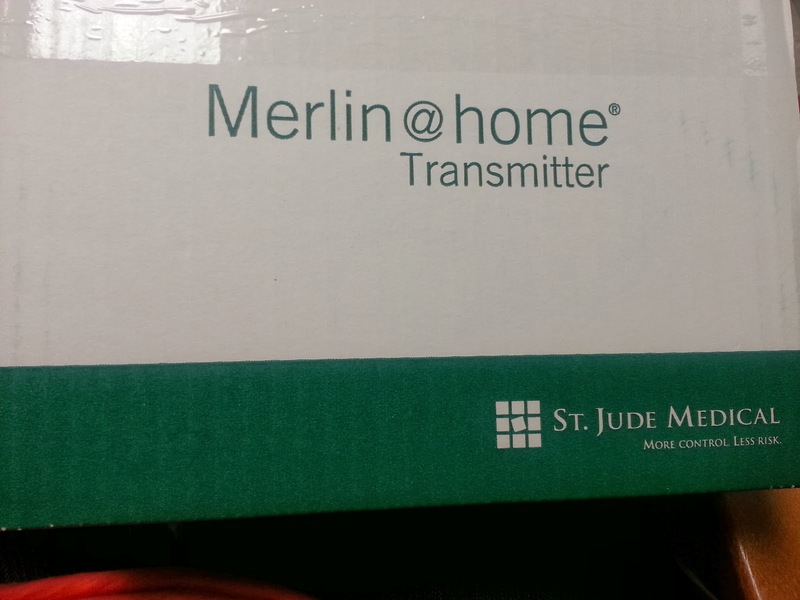 The Merlin @ home transmitter sits in his room and every night while he sleeps it reads his pacemaker to make sure there are no issues with the lead or battery.. Every 3months or so, it will send a full report to his cardiologist ! Since this boy has broken his lead twice already and once we found out during a routine check, this technology makes a Heart Momma happy !! Fishing Pole recovered quickly. He has always had a very high pain tolerance. So our first night and following day in the hospital , he was quiet and doped up. The second day he was bored and moody.. lol.. We spent 2 nights in the hospital and were sent home. Keeping this boy calm and laying down was NOT fun.. He is still on restrictions until late April (no gym, no recess, both feet on the ground at all times -- no running, skipping, hopping, jumping ect). at 2 weeks post-op the surgery scar (on his back) basically merged with his original one and is full healed. His tummy/pacemaker scar is looking pretty good as well. Naturally it'll take a bit longer to heal because it's within easy access of picking fingers.. lol.